Chirality describes the orientation of molecules, which can exist in left or right 'handed' forms depending on how they twist in three dimensions. Many molecules essential to life, including DNA, amino acids and proteins, exhibit chirality and the handedness can totally change their function or properties. Therefore knowing the chirality of a substance is often critically important. 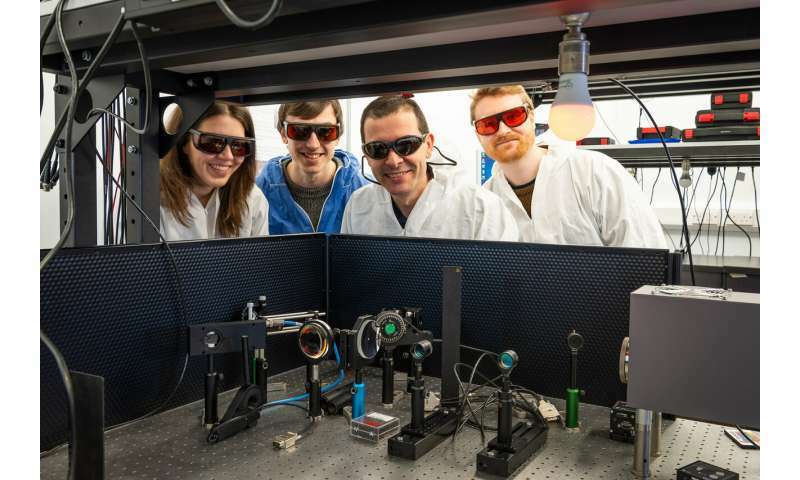 Dr. Ventsislav Valev, who leads the research group in the Department of Physics at the University of Bath, said: "We've demonstrated a new physical effect—you don't get to say that every day. This is exactly why I got into science. "We began thinking about the problem 13 years ago, together with Prof Thierry Verbiest, at KU Leuven, Belgium. Because the effect was so elusive, I knew half of the solution would be to develop a very sensitive experimental setup. This is what I did for many years. The other half was finding the right samples and I was really excited to discover the nanoscopic silver springs (nano-helices) fabricated by Prof Peer Fischer's group, at the Max Planck Institute for Intelligent Systems, in Stuttgart, Germany." "We kept repeating the experiment to make sure it was actually a real effect and we saw that not only it's there but it's huge—we were only using really low concentrations of our nano-helices. "For my part, I didn't really recognise how important it is, and was expecting someone to come along and rip it to shreds, to say - 'you haven't thought of that' or 'you've missed this'. But over time it has dawned on me—that this is actually a fantastic result." Dr. Valev added: "It's taken 40 years, people have been looking for this without success, and not for lack of trying. It's amazing. The theory was quite controversial, people thought that maybe the effect was impossible to observe, maybe something else was there, blocking it. "For 200 years, scientists have been using the same method to measure chirality. 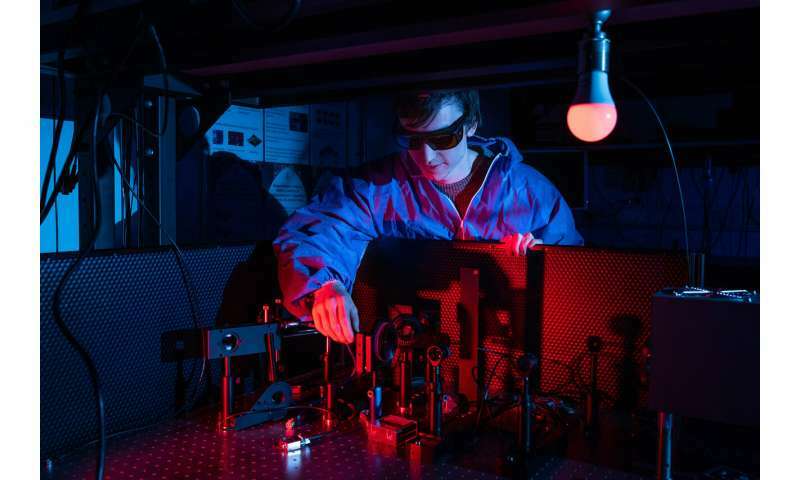 It's not very sensitive, but it's robust and simple, however precise measurements of chirality have become a major hurdle for human-made chiral nanotechnology because of false positives. "Now we have a method 100,000 times more sensitive, free from false positives. There's a new kind of manufacturing process currently emerging. It is called 'lab-on-a-chip' and our effect fits very well with it. "A more sensitive test means you can use lower quantities in quality control and reduce waste, there are applications in chemical and pharmaceutical manufacturing, as well as in microfluidics, in miniaturisation and for developing personal pharmaceutical technologies." Professor David Andrews, from the University of East Anglia, theorised the effect 40 years ago. He said: "Dr. Valev's pioneering work is a clever and highly significant achievement, for he has realised a kind of application that could never have been imagined when the theory was first laid, forty years ago. "His results serve as an encouragement to all pure theorists!" The paper "First observation of optical activity in hyper-Rayleigh scattering" is published in Physical Review X.
Tholidimide intentionally caused horrific mutations because scientists wanted to believe that right handed molecules were the same as left handed molecules. Organic life uses left haded molecules exclusively. My Dad learned in school Dexter sinister.